“Will you live in the Bay Area January through March 2015, if we fund you?” – Last Tuesday night I came to the moment of truth on the application that I was filling out, in my attempt to get CloudCalc selected as a member of the Winter 2015 class of YCombinator, the world’s preeminent technology accelerator — the birth place of such luminaries as Dropbox, Reddit, and Airbnb. Now they were asking the clincher – if selected, did I promise to relocate for 3 months from Houston to Silicon Valley? Of course I would relocate, if that’s what it took to get access to all that YCombinator has to offer. (Yes I realize that I have more hurdles to clear than just agreeing to move to California – otherwise every wide-eyed starlet, surfer, and hippie from the sixties would be well on their way to becoming Mark Zuckerberg.) But it is a bit ironic – for one, over the last decade or so everyone has heard stories of the huge migration from California to Texas (all those anecdotes about how UHaul trailers going from California to Texas cost twice as much as those making the opposite trip); for another, I have long been a big fan of Houston and talked about how I would never leave. The morning after checking the “Yes” box on the application, I saw that I might have company on my trip west. 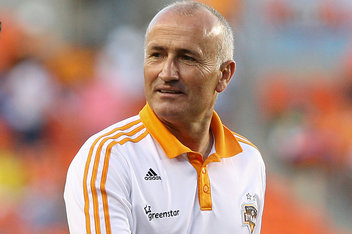 Maybe it was a sign, but the headline of the local paper announced that Dominic Kinnear, the very successful coach of the MLS soccer team Houston Dynamo, was voluntarily resigning after a long career in Houston in order to take over as coach of the San Jose Earthquakes. Dominic Kinnear…and me? Maybe it’s time to build a contraflow lane on the road from California. I started thinking about the potential culture shock – the differences between the two states. Cowboys vs. Hollywood. Oil and gas vs. internet startups. One state so politically red, that it’s an infrared state – the other so blue that it’s ultraviolet. The median price of a home in Houston — $272k; the average price of a home in the San Francisco Bay area – three times as much. But how is life different for an engineer in California vs. Texas? I found good news – “Engineers’ salaries are highest in California and Texas” http://www.bizjournals.com/bizjournals/on-numbers/scott-thomas/2011/05/americas-highest-salaries-for-engineers.html?page=all This article says that the average Civil Engineer makes $104,110 per year in San Jose, vs. a very similar $102,990 in Houston. And there seems to be equal opportunity of work for engineers in both states, as the American Society of Civil Engineering Infrastructure Report Card http://www.infrastructurereportcard.org gives both Texas and California a solid C. So far, not much difference for engineers in either place. 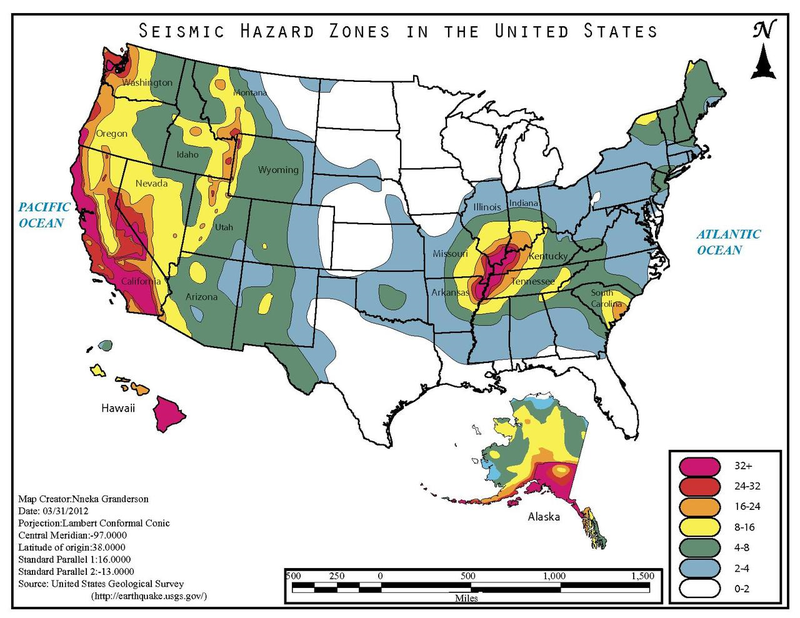 The first is a map of seismic zone in the US – Houston, and almost all of Texas, is in Zone 0 – the only horizontal load one need be concerned about here is whatever hurricane comes by every few decades. Meanwhile California is in the “wear a hard hat indoors and hang onto something whenever you can” zone. So obviously the overriding concern for structural engineers in California is seismic resistance. 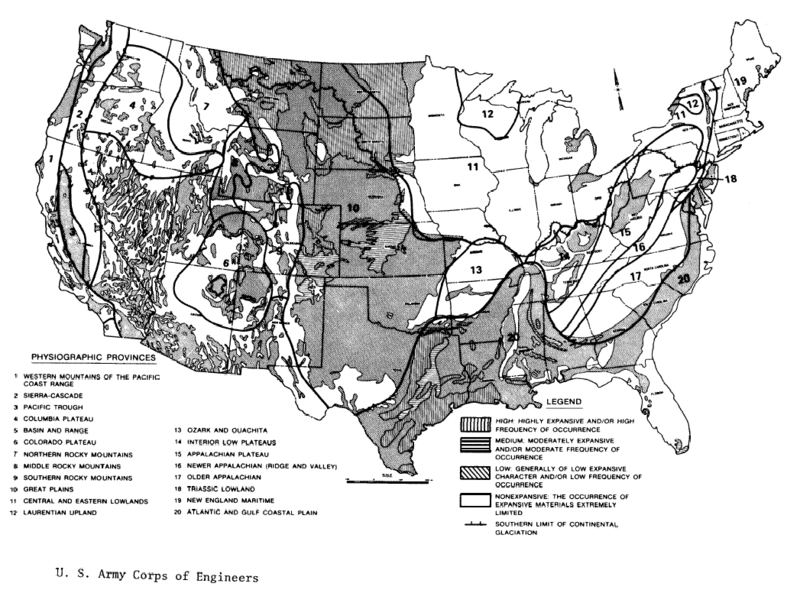 The second map shows soil types – Houston is planted firmly (or as firmly as possible) in the “highly expansive” (engineering speak for “swampy”) soil, while most of California is located on “nonexpansive”, very solid soil. This means that a major concern for structural engineers in Texas is foundation design and the effects of subsidence. So advice to engineers – if you did well on your structural dynamics classes or the seismic portion of your PE exam — “Go west, young man”. If you prefer designing foundations and pilings, Houston is a great place to live ! And one more piece of advice – San Jose Earthquakes, that’s a good choice for a name. Houston Dynamo, maybe “Swamp Things” would be more appropriate? Are you an engineer moving from Texas to California? No problem, you can still access CloudCalc, because it’s on the Cloud! 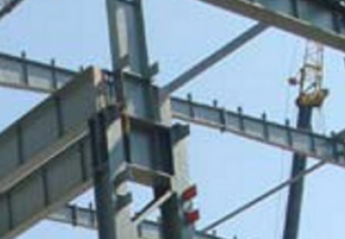 www.cloudcalc.com – Structural Analysis on the Cloud.